Located in downtown Albuquerque, Leigh & Dougherty Family Law specializes in complex divorce and family law cases throughout the state of New Mexico. 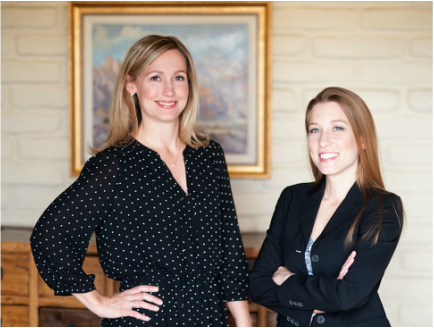 Attorneys Tiffany Oliver Leigh and Kymberleigh Dougherty are committed to working efficiently and effectively for their clients to achieve the best possible results. As New Mexico Board Certified Family Law Specialists, they pride themselves on the ability to handle all types of family law cases, from the most complex and difficult financial disputes to cases where parties need only a small amount of legal advice to bring their case to resolution. They combine a comprehensive knowledge of the law with a strong work ethic, so their clients have all the information they need to make the best decisions for themselves and their families. They understand that a family law case touches the most important aspects of a person's life, and they give each client the attention and dedication they deserve.